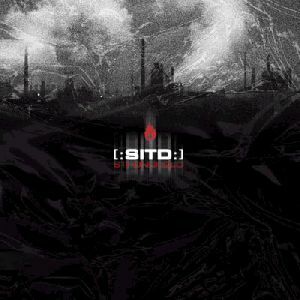 Patrik Lindström EBM During the end of 2002 [:SITD:] (which means Shadows In The Dark) released their debut E.P with the song "Snuff Machinery" which fast became something of a hit at the heavier dance floors all over Europe. Earlier this year the band released a MCD called "Laughingstock" but it didn't do that well though the song is very good. [:SITD:] were forgotten but now they are back with their debut album "Stronghold". I had expected that all songs would be in the same danceable style as "Snuff Machinery" were, but now and then I were surprised. Sure, you get some heavy, industrial EBM with a charming German accent, but you also find some inlays of the slower variant such as Interlace do. Examples of this are "Epitome", "Locked in Syndrome" and "2nd Death". That's not enough, you also find some more pop songs like "Rose-Coloured Skies" and "Venom" which makes you think of Apoptygma Berzerk in their early days. If you put separate songs to the wall, then the songs are really good, but in this muddle the entirety disappears. This is not something you feel disturbing though and I think Shadows In The Dark is here to stay this time. During the end of 2002 [:SITD:] (which means Shadows In The Dark) released their debut E.P with the song "Snuff Machinery" which fast became something of a hit at the heavier dance floors all over Europe. Earlier this year the band released a MCD called "Laughingstock" but it didn't do that well though the song is very good. [:SITD:] were forgotten but now they are back with their debut album "Stronghold".